Idea: Stop parking in the Payment Drop off lane! 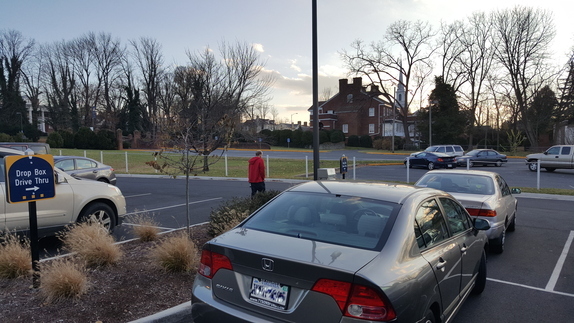 There is a traffic lane in front of the payment drop off box. This lane needs to be clearly marked and signage needs to be in place to prevent people from parking in front of the box. The Public Works Department has plans to soon make improvements to this area of the parking. You can't stop parking here and there because it has some effect on us with writing services australia. I think that we need to try something else here and then make sure that it works for all of us too. Intel is assuming crucial job in our every day life. We can discover best programming's in our PC framework. As per Stamped Concrete el paso we can utilize most recent programming's nowadays. Intel is giving best frameworks which are useful for our business reason too.